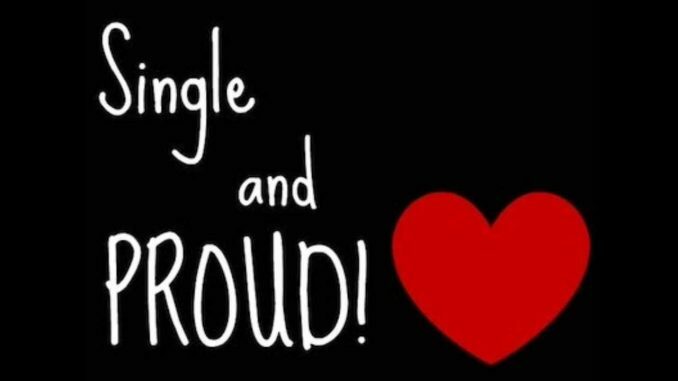 It can be difficult to be single. A lot of the time, especially during the holidays, it seems if absolutely everyone is in a relationship. It’s hard to be happy for others and not be jealous. It can feel as if you were the only one not invited to the party. It is perfectly natural to feel as if you are missing out on something. But the solution to this is not to go out and find someone. In fact, if you try to find a partner, it will actually make you feel worse. And, if you do find someone, it may not fix your feelings of loneliness. But what’s the solution? Learn how to be happy on your own. As crazy as it seems, you can find happiness on focusing on what makes you happy about being alone. Once you convince yourself that you can be alone and be happy, you will feel better over all. This is because too many people treat relationships as if they are a magic spell to change your life, and suddenly your world will be perfect and everything will be beautiful. Unfortunately, life isn’t like that. If you pin all of your expectations on a non-non-existent relationship, you are setting yourself up for failure. It’s not fair to treat a girlfriend or boyfriend as an item on a to do list. Please try to remember that you will still be the same person you are now. You will be the same and if you are uncomfortable with who you are now, you will be uncomfortable in a couple. Ask yourself how you world get through life even if you are never part of a couple? Would you put off everything you want to do? Joining a band? Doing your taxes? Hiking the Appalachian Trail? Would you just sit around waiting for your life to begin. No you would not. You wouldn’t wait around for an outside source of happiness. Shift your focus on your other interactions with people. Having friends is important. Sharing your interests with your peers is important. Having a support system outside of a romantic parter is very important. We need the people around us. We need a pack to help us through life. Having others in your life is an important part of living a happy life. Having friends is just as important, if not more so, as having a relationship. Your outside network is one of the most important parts of being happy. This is because you are part of something greater than just you. When you are part of a community, you can find your purpose. It may seem strange, but when you are single it is the best time to practice being positive. If you think that your life would be a long boring trial of pushing a mule up a hill if you never have a partner, then you are setting yourself up for a lifetime of misery. Examine your attitude. If you sound negative, work on turning that around. Your attitude affects you overall goals. If you are negative, you won’t be able to quickly recover from adversity If you are positive, you can turn around and start over. It is worth mentioning that being negative pushes people away from you. Negative people are exhausting. That can drive everyone, friends and potential lovers far away from you. Negativity can become a habit, so it can take some time to get past it. When you have a positive outlook, you don’t see everything as a personal indictment on you. Rejection can be something you can change. This is hard because we are just wired to have a negative bias. To change ourselves, we have to make a conscious effort to look at everything differently until positivity becomes a habit. Once you have convinced yourself that you are happy and healthy being alone, you have a greater chance of finding a good relationship. This is because once you are putting out positive vibes and acknowledge that you have a good life, people will be drawn to you to be a part of that joy, happiness and satisfaction. Potential partners will respond to the fact they you are speaking to them out of true interest rather than a true desperation. People will sense that you value them as a person, not just as means of salvation from a night of cold pizza with your cat. And what if that person you are chatting up isn’t your true love? It’s fine, because you are perfectly happy on your own.